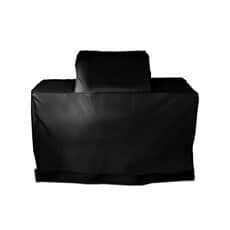 BBQ covers are an absolute essential once you have invested in a good quality bbq cooker. 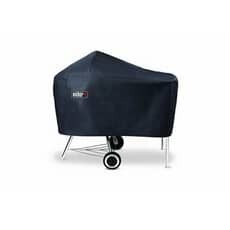 Not many people have the space to store their bbqs in a shed or garage, so a quality cover will protect the ignition and surfaces from moisture and atmospheric pollution, year round. 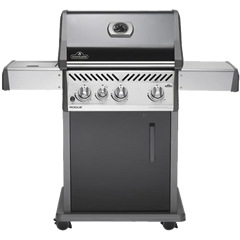 Ignition systems on bbqs are robust, but any electrical equipment benefits from protection from the elements. 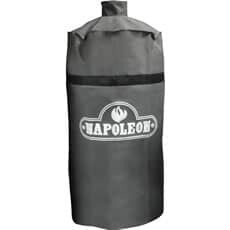 You can also purchase an insulating jacket for your gas bottle, which many customers find useful. 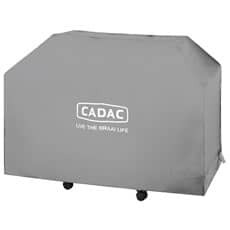 A quality bbq cover must be UV proof and made of heavy canvas to stand up to the coldest, wettest winter. Most are secured in place with Velcro straps and will be specifically designed to fit your particular BBQ. We stock most models by all the leading makes, such as Outback, Dancook, Cobb, Cadac, Napoleon and Weber. 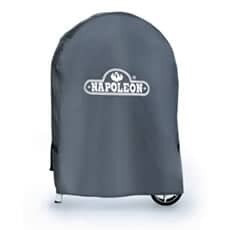 All our bbq covers are guaranteed by a manufacturer's warranty, and will keep your cooker looking good whatever the British winter throws at them. Protect your investment by buying a cover at the same time as you purchase your bbq. We carry a large stock of the most popular covers, and can always place an order for you to be despatched direct. If you've invested hundreds, or even thousands, of pounds in a brand new barbecue, you will want to ensure that it lasts as long as possible. This means regular cleaning, trying to ensure you don't incinerate food and leave it to turn solid. It also means that you should put the barbecue away, if possible, or provide it with some other means of coverage during the months it isn't in use. 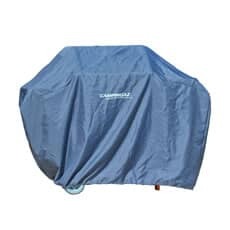 Fortunately, there is a range of high quality, durable BBQ covers that can protect against the weather and other elements, prevent dirt and debris from getting into the barbecue, and can generally protect the griddle and other barbecue elements during the winter months. They are especially important if you have to leave the barbecue out during winter, but can also still be very beneficial if you store your grill in a shed or garage. 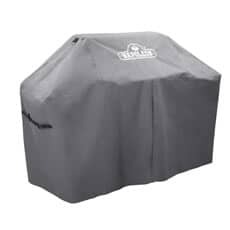 Many barbecue brands, including the likes of Weber and Broil King, manufacture covers designed specifically for their barbecues, but it is also possible to buy covers in standard sizes for use with any barbecue. Consider the material, ensure that the cover is durable, and look at extra features like air vents and pockets. Some covers double up as portable carry bags that make it easy to transport your grill without you, wherever you go. 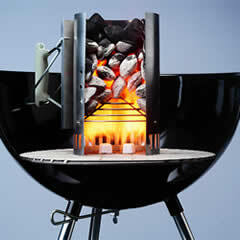 At BBQWorld, we understand the important of keeping your barbecue in the best possible condition, throughout the year. 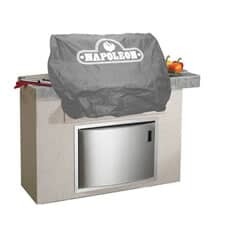 We stock Broil King and Weber BBQ covers, as well as those from other brands like Napoleon, Buschbeck, and Beefeater. Whether you are looking to replace an existing cover or are looking for an affordable way of caring for your outdoor kitchen, browse and buy through our secure website, call us with any questions you have about the products we sell, or call in to Dawson's Department Store to see our full range of homeware items. 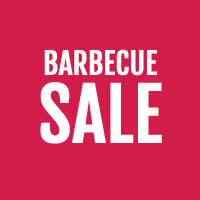 As well as barbecue and barbecue accessories, we also sell kitchenware and homeware, linen, and other items. Polyester is a lightweight, durable material, that can withstand a variety of weather conditions including heat, rain, and frost and ice. It dries quickly and is usually treated to help further improve the protection that it offers. Polyester fabric is made from polyester weave, which obviously has gaps which allow rain through. As such, polyester fabric alone will not protect your grill from water. It needs to be coated or treated to be waterproof. Try to ensure that any polyester barbecue cover you buy has been suitably treated. Viny is a waterproof material, which makes it especially well-suited to use in the British climate. If buying a vinyl cover, try to ensure that it is at least 12 gauge, because this is stronger than standard vinyl. Lighter vinyl covers may be easier to handle, but they are also prone to damage and will suffer wear and tear more quickly. Canvas is a high quality, extremely durable material that is used in the construction of sails, tents, and shoes. Its strength is its greatest benefit, although its weight also means that it is less prone to blowing around and snagging on other items. Canvas needs to be treated to be waterproof, but it is cheaper than some other premium alternatives, which has helped ensure it is one of the most popular. 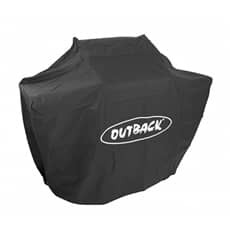 When buying a BBQ cover, you should always consider the quality of the cover. 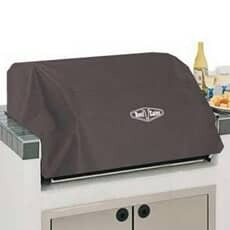 Look at the following factors to get the best available cover for your garden grill. 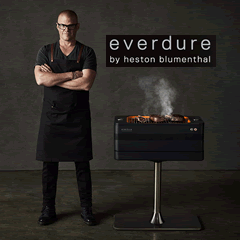 Durability - Durability is critical to the performance of a grill cover. You can't expect the cover to protect a barbecue if it becomes damaged or easily worn. 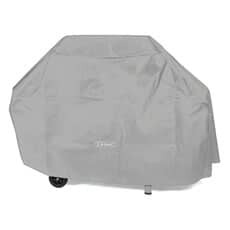 While you should expect some wear and tear over time, there are reports of some high quality grill cover users that have the same cover after 10 years and are still enjoying the same protection they were afforded when the cover was first purchased. Size - Size matters when choosing a cover. It needs to be big enough to comfortably fit over your barbecue, but not so big that it is loose. 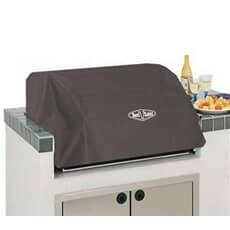 A cover that is too tight will be difficult to get on, and it may snag on the grill, tearing and leaving large holes in the material. A cover that is too loose can balloon, which is especially a problem in the wind, and could easily blow off. 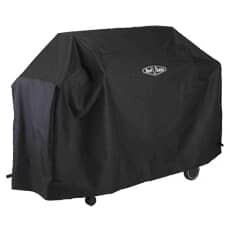 There are covers designed specifically for use with certain makes and models of grill, as well as those that are available in standard sizes so that they will fit almost any barbecue. Straps - Straps are a convenient, but also functional, addition to BBQ covers. Straps, or ties, enable you to tie the cover to the barbecue or to itself so that is fits snugly around the barbecue. This minimises the risk of the cover being blown around in the wind so there is less chance of it getting snagged and ripping or tearing. Air Vents - Air vents allow some free movement of air. It means that condensation and moisture can escape from within the cover. This moisture can cause rust and, if the weather is cold enough, it can freeze or frost over which can cause damage to the electrical workings in the barbecue, as well as the cover and the barbecue itself. However, open vents that are placed on the top of the cover are not suitable for use outdoors because they allow rain to get in through the top of the cover. Pockets - Some BBQ covers include pockets for storage. 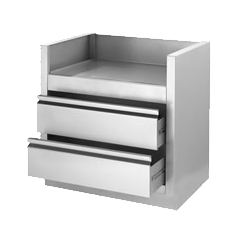 These can be a great way to store items like additional grills or other cooking accessories. 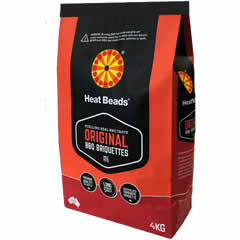 The pockets can also be used to store cleaning materials that you want to use to clean the grill next time you use it. 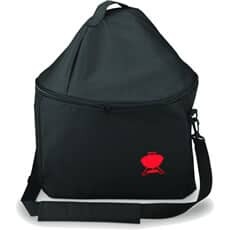 Carry Bags - Some barbecue covers double up as carry bags as well. They can be used to easily transport your barbecue, making them ideal for carrying your portable grill to another house or even on holiday. 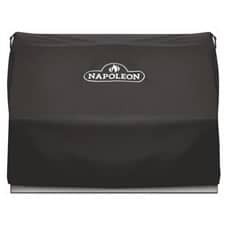 This type of cover is typically made by the same people that made the barbecue in order that the grill unit itself fits properly and accurately into the bag. 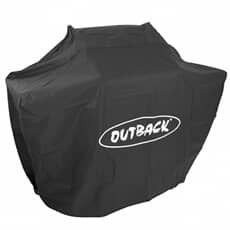 Most barbecue manufacturers manufactures make and sell covers for the barbecues that they provide. They do this in order that you can protect the barbecue, prolonging its life and ensuring that you enjoy trouble free use for many years. Buying this type of cover does help ensure that the cover fits perfectly. They are contoured to exactly match the shape and dimensions of the specific barbecue, and they will include ties and tie downs to help prevent loose areas that often occur around the base. 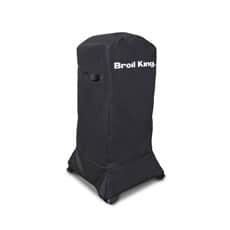 This type of cover exists for portable, as well as built-in barbecues, and in some cases you may find that the cover is included when you purchase the barbecue itself. 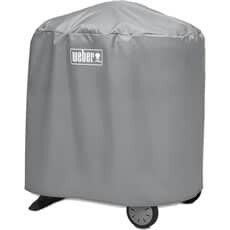 Replacements are also available, and at BBQWorld we have a large number of covers from manufacturers like Weber. 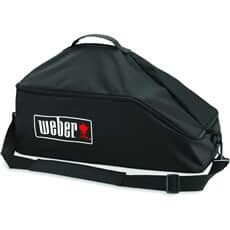 Companies like Weber also make covers designed to fit a range of barbecues - for example, you can buy a cover that will fit any of their three burner barbecues. At BBQWorld we want to ensure that you enjoy a trouble-free barbecuing and barbecue ownership experience. 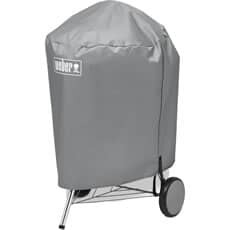 Not only do we sell high quality barbecues from some of the biggest names in the industry, as well as tools and accessories for use with these grills, but we also stock items like covers and carry bags that offer convenience and protection. Browse our website and, if you order today and spend over £50 on your order, we will deliver your order completely free of charge to anywhere in the UK. Alternatively, call us today with any questions about the products we offer, or call in to Dawson's Department Store in order to see all of our homeware items.